Sarah "Mac" Robinson is a runner, mom, freelance brand storyteller and writer. Formally the Creative Director of Oiselle, she’s in the middle of a migration to Tacoma and reformulation of her career. She is a 2016 Olympic trials qualifier in the marathon with a PR of 2:42:36, and will be running in the elite/pro field at the 2016 NYC Marathon. She splits her time between momming, running and working on brand and writing projects that make her heart beat faster. In this episode, Sarah and I discuss how one decision or interaction can change your entire life, sharing stories of times that that has happened to us. Sarah talks about running - how she got started, the many injuries and surgeries she went through, and the years when she thought she was done competing forever. 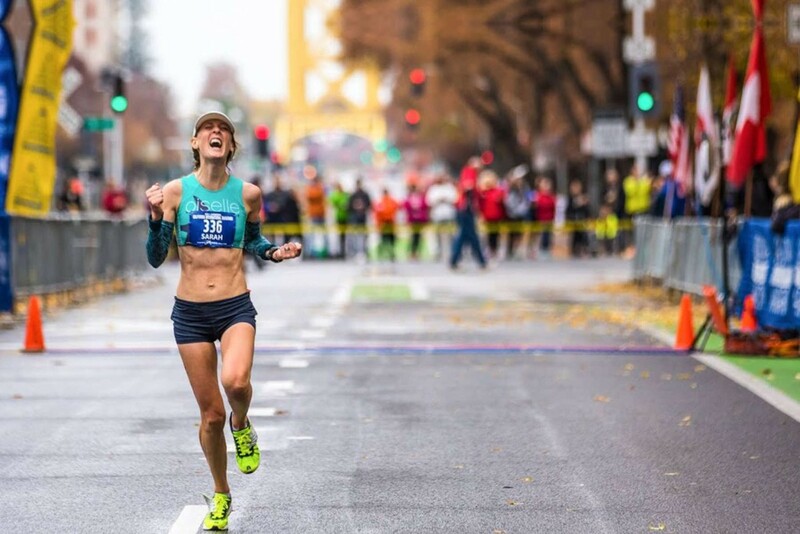 We talk about grit, and about when to be stubborn vs when to let something go, and Sarah tells the emotional story of finally, finally qualifying to run in the Olympic Trials Marathon. She also shares her truth about being a working mom, quitting her dream job to start a freelance business, and more. I bet you'll find Sarah's stories as uplifting and comforting as I do!